More than a year ago, UM-Flint Social was created to showcase the University of Michigan-Flint’s online communities, and to serve as the hub for all UM-Flint social channels. After a series of updates and improvements, we’re proud to launch the newest version! 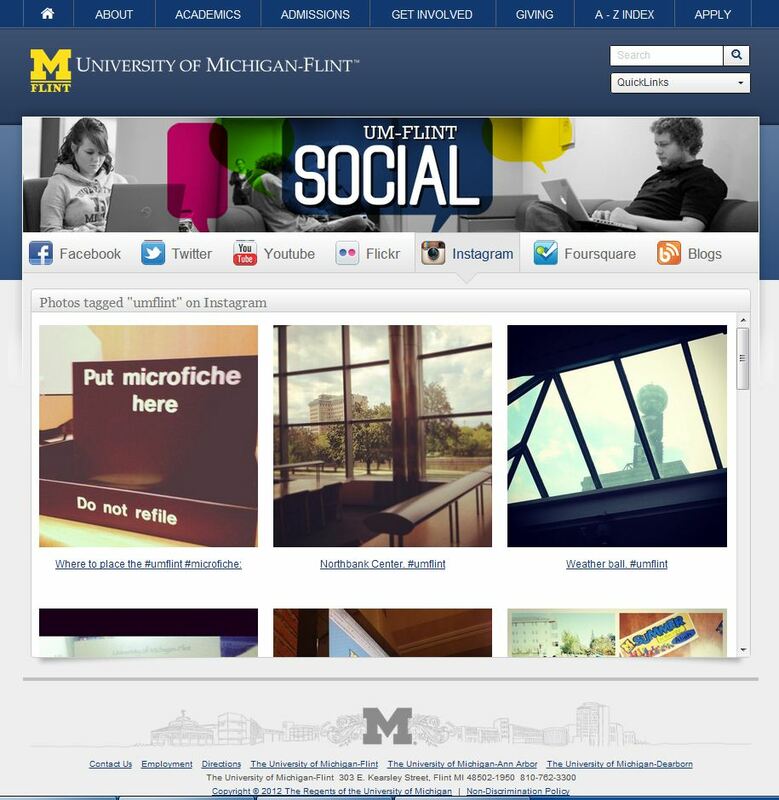 UM-Flint Social now features campus blogs, including the brand new Students@UM-Flint student blog. An Instagram feed collects all photos tagged with the #umflint hashtag. We’re also working to update the directory lists of other campus social media accounts. Visit UM-Flint Social today, and find a new way to connect with UM-Flint.